AXIS Capital, Inc. has immediate opportunities in Texas (Houston or Dallas based) for experienced customer direct leasing sales executives with established current end user relationships preferred. AXIS Capital Inc. is a National Independent Leasing company. Our ideal candidate will have the opportunity to utilize their industry expertise with the opportunity to grow their existing equipment lessee customer base. • Candidates will possess exceptional verbal, written and customer service skills. • Proficient in Excel, Word, Outlook, PowerPoint. • Self-motivating and organizational skills. Competitive salary, health insurance, 401K, life Insurance, paid vacations and holidays. If you possess the required experience and feel you have what it takes to succeed, please email your resume to hr@axiscapitalinc.com or send your resume to PO Box 2555, Grand Island, NE 68801. Greg Wells, President & CEO Five Point Capital, San Diego, California, in a follow-up communication, told Leasing News, "As I mentioned to you several weeks ago, we would be reviewing our end of term process. One of the outcomes of this review is that we are now sending written notice of the impending maturity to all true leases in all states. "In full disclosure – notices that are being sent out now will have first impact on deals maturing in December. The current FPC contract calls for notice 120 days prior to maturity and we’re going to aim to get notices to them 30 days prior to the contract date. We’ll still have a few months ahead of us where deals have matured or have passed the contractual 120 days that a lessee won’t have notice." In the communication on the last complaints, Greg Wells did say from the beginning he was working on a review of the procedure. It is also true that both he and Michael Losey, Director of Portfolio Management at Five Point Capital, have been very responsive, including both active in resolving the complaints; which were all resolved to the customer's satisification. It was the non-notification issue that kept the complaints on the web site, but they now will all be removed, plus in LinkedIn group, Twitter, and Facebook sites. Leasing News salutes Mr. Greg Wells for his leadership. 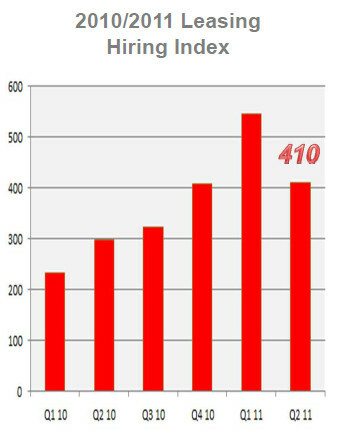 After 18 months of steady and consistent growth, the ZRG Equipment Leasing and Finance hiring index retreated, ending the quarter at 410. Despite the drop in career opportunities from Q1 to Q2 of this year, the overall job opening numbers are still higher than they have been in the past 3 years, showing healthy levels of hiring occurring in the space. Will this gradual decline in new jobs continue in the upcoming quarter or will summer and fall bring continued hiring and further job opportunities to close out year? This is certainly a big question for the industry looking forward. From a sector standpoint, growth for this year has come out of the technology and healthcare sectors. 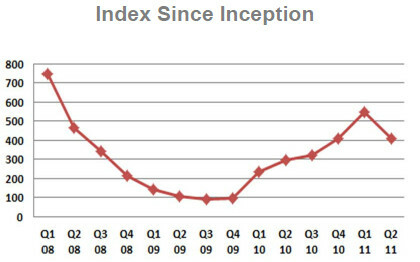 Functionally, we see a continued emphasis on business development and sales related hiring in the quarter. 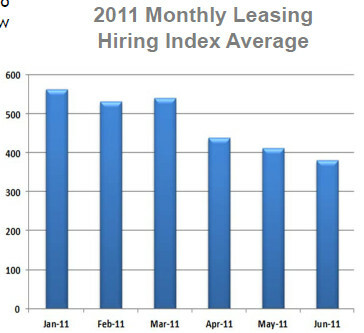 At current hiring index levels, 2011 is still on pace to exceed last year’s hiring pace by 85%. ZRG is launching a new global leasing and finance hiring index this coming quarter, so global hiring trends in leasing will bring new insights to the quarterly releases. Leasing News has printed four “Alerts” on Brendan Messenheimer of AMC Funding, Charlotte, North Carolina, from both vendors and brokers. He owned another company that had sources through leasing companies as a vendor and was putting deals through here, reportedly more liberal as coming from a supposed vendor. When he was caught doing this, he was cut off and what happened were over a dozen brokers getting bounced checks or no checks, as well as vendors not being paid. Kendal Nuclear Medicine was one of them who nine months ago took the matter to court for a worthless check. It was the vendor who was informing Leasing News about the trial, and confirmed that he had received reimbursement on his check for $10,587.88. The vendor had said because it was a first time offense, the sentencing was "light." Leasing News has learned the sentencing was not just the return of the money, but he was ordered to pay $21,425.76, dissolve AMC Funding Group, take his website down and not own or operate a "similarly situated business." I function as another set of eyes for the leasing industry doing reviews of lease portfolios to determine the soundness of lease operations. It is always a surprise to me that I find sloppy back offices and untrained personnel in companies that have been around for many years. The organization of a lease back office is a complicated affair and it does not take much to make mistakes that slip through the cracks. After a lease transaction is called complete, and before it is filed away, there should always be a review by someone trained to look at documentation and paperwork. 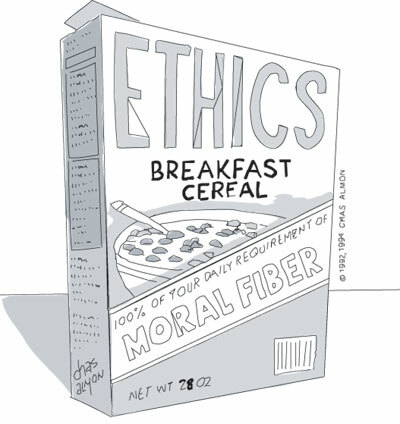 I would also recommend this not be someone involved in day to day operations. Exceptions should be noted and repairs completed before time makes them impossible to correct. The most common mistakes I find are unsigned documents (lacking signatures), blanks not filed in and documents misfiled. I could go on, but perhaps the most startling of all is the comments I receive prior to starting the audit when I am assured by management that their back office is the “best” there is and everything is reviewed and double checked and I should find no problems except a “few” human errors! So you can imagine their surprise when I show them a large verity of mistakes. It simply is because someone with knowledge out of the immediate department reviewed all the material and then the file is considered “reviewed.” “Complete” is next noted on the file when the items discovered are corrected. In this current economy with downsizing and consolidation and longer work hours, I note more mistakes than normal are creeping in. In fact, I have found many more mistakes than senior management expected, and they were aware there would be errors, but not so many of them. The fact that it is not expected is what is surprising. There are a million reasons for the mistakes, but apathy is usually the biggest problem. With personnel changes, policy changes, every day pressures and a lack of accepting that back office problems are usual, not unusual. I believe very strongly in having a procedures manual for each position not just an overall policy and procedures manual. 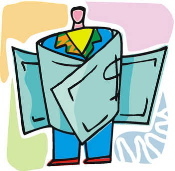 To create one you should have each employee create what they think is a list of their duties and responsibilities. Then the employee’s manager should first review it to determine how it corresponds to what they believe it should be and then review it every six months to make sure it has not changed or see it needs modifications. Senior management needs to compare the correct duties and responsibilities for all employees to make sure all tasks have been assigned. Sounds like a lot of work, but once completed a more efficient work environment with less mistakes is the result. In Addition the duties and responsibilities list is an excellent outline for performance reviews. Many of the mistakes occur due to a requirement for speed and excess work load. The more that is expected of the staff, the more mistakes are going to occur ---so more review is a real necessity. 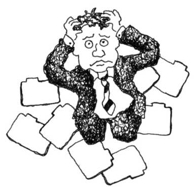 A lease back office does not manage itself. Many of the mistakes occur due to the lack of supervision. Just because someone is a hard worker does not mean they will not make mistakes. We are all prone to make mistakes on occasion, but if the system is there to have someone with a fresh set of eyes review the work load ---perhaps they can be found and corrected prior to any consequences. An annual review by someone trained to look at documents and who questions each action may help adjust your procedure manual so it supports the work flow instead of interfering with it. I also suggest that the back office be organized according to the paper flow. Occasionally I find that over time and sometimes for political reasons personnel are stationed far apart requiring many additional hours for a transaction to make its way through the organization. It would be wise to establish a work flow chart and then compare it to your office set up to see how it moves and where it moves on its path to completion. If you draw a line from task to task, it may surprise you how inefficient your work flow really is. That is why I said the back office of a leasing operation is a complicated affair. If you are well organized and you need none of this pat yourself on the back and understand that you are in the minority. Microfinancial earned $2.3 million in the quarter ending June 30, 2011 compared to $1.3 million in the same period in 2010.The company that specializes in the mini-ticket marketplace, $500 minimum, opened an office Westlake, California increasing employees from 113 to 129. “Although we continue to see a sluggish economy in the microticket market, especially with new business creation, we are very pleased with the continued improvement in our financial performance in the second quarter of 2011, " said Richard Latour, President and Chief Executive Officer. Receivables increased from year-end $191 million to $193.3 million as well as retained earnings from $22.9 million to $25.7 million and equity from 143.6 million to $147.3 million. In covering the failure of banks in detail for almost three years, most were over extended in construction and land development loans, followed up by commercial loans, and 1-4 family home loans. The banks that failed started their decline either in 2006 or 2007, with obvious growing charge offs, and the time consuming and burden of growth in non-conforming loans, coupled with the result of not being able to raise additional capital, meaning the inability to bring in new investors. The numbers being posted are basically a minimum of 90 days behind, and more than likely close to a year. So what happened in 2008 was really the reporting reaching the point in 2009. All those who failed needed new capital, but their friends and relatives had already been approached in the formation of the bank. To raise capital for an entity losing money, charge offs, non-conforming loans, and god forbid, a cease and desist order from the FDIC, made it quite difficult, and in these cases, impossible. And they all started too late, six months to a year after the numbers were reported to the FDIC. The larger banks have access to a more “public marketplace,” as well as many products to produce additional revenue, such as leasing, where the write offs were not happening with these banks. The smaller banks are trapped in their community and reflect it in the local down economy without the ability to reach further into communities in other states with the products available to larger banks with more staff and abilities. To top it off, the construction and business loans were mainly to their friends and relatives. In the end, the bank directors lost their initial investment as well as the respect of those they talked into investing in their bank. 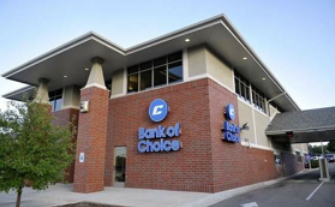 The 17 branches of Bank of Choice, Greeley, Colorado were closed with Bank Midwest, National Association, Kansas City, Missouri, to assume all of the deposits. This is a long time bank that made it through the depression, founded January 1, 1896 and had 284 full time employees in 2008, the last years they opened a new office to 214 full time employees March 31, 2011 at two offices each in Arvada, Fort Collins, Greely, and Parker, one each in Auora, Denver, Elizabeth, Englewood, Evans, Kiowa, Platteville, Windsor. 12 of these offices opened from 2000 to 2008. Charge offs of Construction and Land Development loans did them in with $7.8 million in 2009 and $$20.2 in 2010, along with nonfarm loans in the same years $2.3 and $7.5, farmland $2 million and $3.2 million. In fact, the first quarter of 2011 found $2.5 million in farmland charge offs as non-current loans had also climbed to $106 million, compared to $3.3 million in 2006 and $8.8 million in 2007. Bank of Choice had lost $51 million in 2009 and $59.9 million in 2010. A blog on the failure of this bank brought comments from a person who posted what he had learned in a four year Bank Strategies LLC as to "...why some of the banks got into the troubled condition they found themselves in regardless of what the economy or real estate values did. Below are a handful of actual examples of the dozens of practices that we have found in our studies that are inappropriate and significantly contributed to the risk profile of the bank. We are putting this forward now because Board members in all banks are nervous and we think will provide some perspective for you to share with your Board. *-- A rural bank enters a metropolitan market and starts making CRE loans and the only person approving the credit is the President who has no CRE experience and who had not updated the loan policy to deal with CRE loans. "The examples above are some of the more blatant situations we have seen during our management study engagements. While each study has been unique, we have also observed many common flaws in various fundamental aspects of risk management and general oversight amongst the banks we have worked with. "One common flaw is that banks' board of directors often knew what was going on but deferred to the judgment of the President/Executive team, whom they believed knew more about banking and therefore, concluded the practices must be okay. Clearly, Boards need to be better informed, better trained, and, in some cases, have the benefit of an independent management study before their primary regulator dictates it. This will help protect them from liability by insuring the practices and approaches of the bank are appropriate." Land and Construction, 1-4 family multiple residential, Multiple Family Residential, Non-Farm Non-Residential loans. The FDIC estimates that the cost to the Deposit Insurance Fund (DIF) will be $213.6 million. Note the drop in equity, profit, charge offs, and non-current loans. Most had very low Tier 1 Risk Capital, and as alarming, a trend you giving you little confidence to invest in, but as well as even extend credit. Note the following bank had a Tier 1 risk-based capital ratio 0.32%. The six branches of LandMark Bank of Florida, Sarasota were closed with American Momentum Bank, Tampa Florida, acquiring the banking operations, including all the deposits. Founded February 4, 2000 the bank had gone from 66 full time employees in 2006 to 53 full time employers March 31, 2011 at the six offices located in Sarasota. Land and Construction, 1-4 family multiple residential, Multiple Family Residential, Non-Farm Non Residential loans. As of March 31, 2011, LandMark Bank of Florida had total assets of $275.0 million and total deposits of $246.7 million. The two branches of Southshore Community Bank, Apollo Beach, Florida were closed with American Momentum Bank, Tampa Florida, acquiring the banking operations, including all the deposits. This is another young, small bank, founded September 12, 2005, with 10 full time employees as of March 31, 2011 with offices in Apollo Beach and Sun City Center. The collapse of real estate was the culprit to this bank, where Wikipedia describes the area with "...a beautiful waterfront community. It is a year-round haven for boating and fishing enthusiasts, with its many miles of canals and inlets. "Perhaps the fifty-five miles of navigable canals are the best known characteristic of Apollo Beach. The canals average a depth of seven feet in the center and all are connected, eventually merging into Tampa Bay. The canals themselves are lined with magnificent homes, with lush tropical foliage. The majority of home sites have docking facilities with sail boats and motor boats lining both sides of each canal." Sun City Center is more of a retirement community, age restricted: "2000 Census...The median age was 75 years. For every 100 females there were 74.4 males...It is legal to drive golf cars on the wide palm lined streets during daylight hours and most shopping has special parking slots for same. There are several golf courses, about 20 various hobby shops, an outdoor and two indoor pools in the main clubhouse area. There are clubs for almost any interest or hobby including ham radio, computers, sewing, cards, investments, and dancing." As of March 31, 2011, Southshore Community Bank had approximately $46.3 million in total assets and $45.3 million in total deposits. The FDIC estimates that the cost to the Deposit Insurance Fund (DIF) for Southshore Community Bank will be $8.3 million. Why I'd make a great companion: I'm a lovable companion seeking a special home where I'll be a cherished member of the family. With bright eyes and a precious face, I have a beautiful personality to match. I can be a bit shy at first, but I warm up as I become more familiar with my environment and get to know you better. I appreciate a close, trusting relationships. 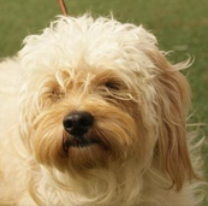 During the adoption process a San Diego Humane Society trainer will be present to answer any questions and share how to best care for me and tips for continued training in the future. Type of home I'm looking for: I will do best in a home with calm adults. I get along well with other small friendly dogs. Other things you should know about me: My adoption fee is $105 and includes my spay, current vaccinations, permanent microchip identification, a certificate for a free veterinary exam, and a license if residing in Oceanside or Vista! Silverlake Inspections LLC is an independent contracting company for real estate and equipment verification with pictures. 1729- North Carolina becomes royal colony. As Jews were being banished in Europe from many cities for practicing their religion, they began migrating to the New World along with many other Christian faiths who no longer wanted to follow either the Church of England or the Vatican. Although few in number, Jewish immigrants were strong contributors to the religious life of America, according to historians. The first permanent Hebrew congregation to the colonies was formed in 1729 in New York City; the next year the members constructed a synagogue on Mill Street that was described as a “solid, neat, stone Temple. “ The congregation later added the first school for Jewish children. Around this time Jewish communities were also developing Charleston, S.C., Newport, R.I.., and Philadelphia, PA, and by the time of the American Revolution, there were between 2000 and 3000 Jews in the colonies, mostly merchants and traders. An act of Parliament in 1740 allowed Jews to be naturalized, and in the colonies they found more political and religious freedom than anywhere else in the world. 1851-New Mission Toll Road opened. First toll station at Third and Stevenson. The planked roadway ran from Clay and Kearny, out Third to Mission, and then along Mission to Corbett Road. It bridged the marsh between Sixth and Eighth St. Tolls were 25 cents for riders on horseback, 75 cents for two-horse wagons an one dollar for a four-horse team. 1861 - The Crittenden Resolution, calling for the American Civil War to be fought to preserve the Union and not for slavery, is passed by Congress. The measure was important in keeping the pivotal states of Missouri, Kentucky, and Maryland in the Union.Although the measure was passed in Congress, it meant little when, just two weeks later, President Lincoln signed a confiscation act, allowing for the seizure of property—including slaves—from rebellious citizens. Still, for the first year and a half of the Civil War, reunification of the United States was the official goal of the North. It was not until Lincoln's Emancipation Proclamation of September 1862 that slavery became a goal. 1863-The first Monument to commemorate the Civil War was a plain brownstone shaft designed by Nelson Augustus Moore and dedicated this day, two years before the end of the war, at a cost of $4350. It was “erected to commemorate the death of those who perished in suppressing the Southern Rebellion” and eventually carried the names of 16 men. It is still standing. 1890- In his last minor league appearance, 23-year old Cy Young strikes out 18 batters en route to a tossing no-hitter in a Tri-State contest against McKeesport (PA). The right-hander will amass a record 511 victories during his 22-year Hall of Fame career. 1934-The first president to visit Hawaii while in office was Franklin Delanor Roosevelt; at Hilo, HI. He was officially welcomed by Governor Joseph Poindexter on board the cruiser U.S.S. Houston. Hawaii was then a territory of the United States. 1936-Today in History salutes Federal Theatre Project (FTP) of the Works Progress Administration (WPA). 1936-Birthday of American composer Edward Gold, Brooklyn, NY.In recent years, Mr. Gold has composed entirely on the computer and has sequenced his own music as well as the music of others, including Elgar, Schumann, Liszt, and Brahms. 1943-Jim McCarty, drummer for the Yarbirds, was born. 1944 –The first jet fighter used in combat (Messerschmitt 262) Toward the end of the war Germany was not only producing rockets to bomb England, but building them to bomb the US, larger and stronger tanks, working on an atomic bomb, to be put on the rockets, and were now in production of jet air craft. of Secretary of Defense. It also established the National Security Council and the Central Intelligence Agency. The act was signed on July 26 by President Truman, who nominated Secretary of the Navy James V. Forrestal as the first secretary of Defense. Forrestal was confirmed by Congress on July 27. 1960-The Ventures "Walk Don't Run" enters the US Pop chart and introduces the instrumental Surf sound to Rock 'n' Roll. The song will peak at #2 a month later. 1960-Elvis Presley's "It's Now or Never" debuted on Billboard's Pop music chart. The song was adapted from the Italian tune "O Sole Mio", written in 1899. 1961-Roger Maris hits home runs 37, 38, 39 and 40 in a double header. 1964-Billboard reports England has a hot new band. The Animals debut single "House of the Rising Sun" entered the U.K. chart at #16. The next week, it's at #3 and seven days later it's number one. To promote the group in the U.S., disc jockeys were sent boxes of animal crackers wrapped with special promotional material. 1965- Bob Dylan, backed by the Paul Butterfield Blues Band, horrified the audience at the Newport Folk Festival with his new electric sound. He was booed off stage after three tunes but returned with his acoustic guitar to play two songs -- "It's All Over Now, Baby Blue” and "Mr. Tambourine Man." 1966-In San Francisco, the Rolling Stones perform their last U.S. concert with Brian Jones. 1966- Trivia for followers of Al Davis, named commissioner of the American Football League just three a half months earlier, he resigned this day and returned to his previous position, president of the general partner of the Oakland Raiders. Davis resigned two weeks after NFL commissioner Pete Rozelle announced a merger between the two leaguers. He has never been happy since. 1966 –Supremes with Diana Ross release "You Can't Hurry Love"
1970-Chicago's "25 or 6 to 4" is released. 1972-The US admits that Blacks were used for 40 years as “guinea pigs” in the Tuskegee Syphilis Experiment. 1975- the musical "A Chorus Line" opened at the Shubert Theatre in New York after a two-month run at a small theatre in the New York Shakespeare Festival complex in the East Village. "A Chorus Line" became Broadway's longest-running show, finally closing on April 28th, 1990, after 6,137 performances. More than six-and-a-half million people paid 150 million dollars to see the show during its Broadway run. Productions of "A Chorus Line” were also mounted in more than 20 countries. 1980- AC\DC releases "Back In Black," their first album with Brian Johnson as lead singer. 1980-Kiss introduces their new drummer, Eric Carr, at a concert at the Palladium in New York City. Carr, who wears fox make-up, replaces Peter Criss, who was made up as a cat. 1981-Air Supply becomes the first Australian band to top the Billboard Pop chart when "The One That You Love" reaches number one. They would go on to place seven consecutive singles in the top five. 1981 - Walter Payton signed a contract to play with the Chicago Bears of the NFL on this, his 27th birthday. The famed running back earned almost $2 million over three years. “Sweetness,” as he was nicknamed (because of his disposition), became the highest-paid player in the National Football League. 1985 -Spokeswoman for movie star Rock Hudson confirmed he had AIDS. 1987 - Sixteen cities in the eastern U.S. reported record high temperatures for the date. Beckley, WV, equaled their all-time record high of 91 degrees, established just the previous day. It marked their fourth day in a row of 90 degree heat, after hitting 90 degrees just twice in the previous 25 years of records. The water temperature of Lake Erie at Buffalo, NY, reached 79 degrees, the warmest reading in 52 years of records. 1990- At the time, very popular actress-comedienne Roseanne Barr, star of the TV series “Roseanne,” sings the National Anthem at San Diego Padres game . Sports fans go nuts. Boo her out of the stadium. Her popularity wanes from this event. 1990-US Ambassador tells Iraq, US won't take sides in Iraq-Kuwait dispute. 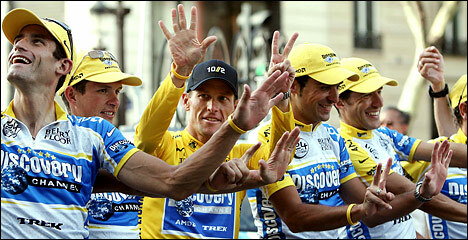 1999 - Lance Armstrong rode to victory in the Tour de France, capping an amazing comeback from cancer. He was only the second American to win cycling’s showcase race. 2001- E. Stanley O’Neil to become Merrill Lynch & Co chief executive, first African American to lead a major Wall Street securities firm. 2010 - The Hall of Fame honors John Fogerty, for his classic song “Centerfield”. At the induction ceremonies, the Rock and Roll Hall of Famer performs his 1985 hit, and then donates his baseball bat shaped-guitar to the Cooperstown museum.